Oh yes, finally the “Lock Him Up” chants. The Florida governor’s race is now unabashedly a Clinton vs Trump redux. More proof of that? Well, what was once a whisper, is becoming a roar that if Andrew Gillum is elected (like it was for Hilary), that somehow he will go to jail shortly thereafter? So, like it was for Hilary (now Gillum), the message to the undecided voters is… don’t waste your vote,he will go to jail after winning. But wait, those same loud and constant beatings of the drum are being done with no factual basis for any of the claims. And, as we know, that doesn’t matter right? Not if you win. There has been columns suggesting Mr Gillum needs to come clean and not continue to aptly avoid more direct responses regarding the New York and Costa Rico trip, which he has now followed up that urging with an open and far ranging interview with the Tallahassee Democrat. Now, because the Democrats have not been disarmed, after 2016 and the online campaign ran against Hilary using the exact same tactics, are the Democrats not prepared to fight this fight on the internet and on social media platforms? Not as aggressively as some would wish, so redux it is… or isn’t. But perhaps the voters are smarter this time.. the fool me once shame on me and….., to not be fooled this time. 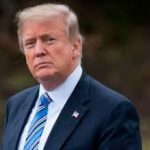 Moreover, the avalanche of scurrilous headlines from newly created “news” sites alone is dizzying… along with the rapidity of which they are shared, often by the same individuals who are quick to label what they disagree with “fake news”, to now themselves prolifically disseminate what is truly “fake”. The execution of such strategies is to be applauded. It is unrelenting, using a deep bench of acolytes who are readily disseminating such information.. and expertly using social media algorithms. But the question is, has the voter matured since 2016. Will today’s voter know the trick for what it is? Only time will tell. Considering 2016, voters must also remember this: In the end the polls do not matter, no one is going to jail… no bribes and etc in the end, calling or labeling someone “crooked” does not make it so, no governor has the ability to raise the state of Florida’s taxes ( three branches of government for a reason), only 3 percent of corporations in Florida pay any corporate taxes and they are the largest ( that will never change and is not what is being proposed anyway); but those facts does not stop purveyors of gross mischaracterizations, and ( if political candidates where not public figures) the peddling of what would ordinarily be called slander. But, who said politics was playing bean bag anyway? And now we have the words “ crooked Mayor Gillum” oozing from the lips of Ron DeSantis. and chants of "lock him up" at recent GOP rallies as mentioned at the top. So, what say you Mr and Mrs Voter? What say you? Will you recognize a strategy that has been honed to near perfection and not take the bait? Will voters seek the balance that comes when it is not one party that rules every branch of government, knowing that such balance allows for real and serious discussion on issues that impact our lives…. when the best solutions are implemented regardless of whose party’s idea it was. That’s the real fight. 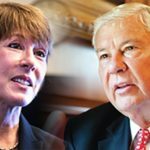 Do we change how decisions are made in Tallahassee and do we have a government where all elected officials chosen by voters get their voices heard? Or is it iron clad one party rule. Yes, the real fight. 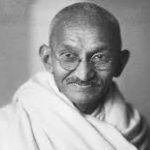 There remains faith in our democracy in the idea of a working three legged stool of checks and balances in our institutions and branches. If the momentum and energy seen at the polls reflected in early votes are indicative of anything, the voters may be expressing that faith and clamoring for real dialogue on solving our problems. They have seen this movie before from the 2016 playbook and just may be seeking real change.. and to do something historic. Again, we will see. So, I start with this … did you notice? Did you notice that “Mayor Gillum” is not an “opponent” of Congressman Ron DeSantis for the office of Governor of Florida? According to Congressman DeSantis, he is running against a boy named Andrew or Andy. Let’s be clear and speak as adults here. 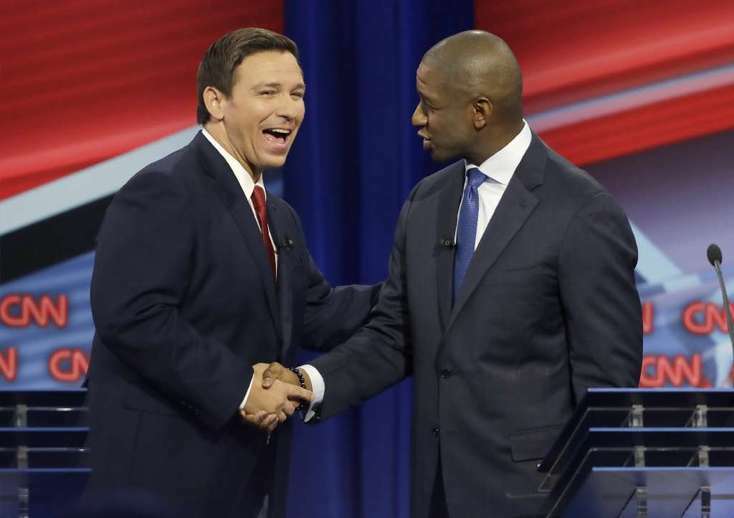 Mr. DeSantis continually addressing Mayor Gillum as “Andrew” and even “Andy” during a televised debate on October 21, 2018 was both knowingly (or unknowingly) considered by some as racist and by many as disrespectful. It is the oldest of tools from the tool box of the southern slave owner to demean a black male in the eyes of the world, to himself , to his wife and to his children. It is to never acknowledge his position, person-hood or his manhood, but to instead refer to him as a “boy” … by first name only.. never a “Mister”, “Sir” or any titled at all.. preferring to simply call him boy. In 2018, considering the strides we thought we have made with regard to race, we read headlines and see instances on our social media feeds almost daily to remind us that we uncorked the Champagne a bit too soon. But the governor’s debate in Florida displayed where we are in both a loud and subtle way, all together. It was done by Mr. DeSantis articulately demeaning the person-hood and manhood of his opponent, making sure he “knew his place”… by never referring to him as a man of accomplishment, of equal stature, or of having any professional title whatsoever... nor simply referring to him as "my opponent". It was more than a dog whistle. When asked about the “monkey it up” comment, Mr. DeSantis deflected by pleading ignorance to how in the world the statement could be deemed offensive as it was no way near his intent or conscious understanding. I believe Mr. DeSantis to be a man of above average intelligence, and as such believe he knew full well what he was doing and was doing it with a purpose when he continuously referred to Mayor Gillum as Andrew or Andy. He may as well have called him “boy”. And, If anyone believes Mr. DeSantis is not running a bombastic and racially decisive campaign similar to what one would expect from his most ardent supporter in chief, then you are mistaking his better grasp of the English language (than his muse) for something more loftier. Perhaps he knows that in 1972 the state of Florida voted overwhelmingly for George Wallace, who ran for President on a segregationist platform. Being a smart guy, he knows that for some, the racist “Jim Crow” Florida of my childhood seemed like just yesterday, and for many , it would be a cold day in hell before someone of Mr. Gillum's pigment inhabit the governor’s mansion. His win strategy includes and depends upon that vote, and therefore likely, that’s the crowd he’s playing to.. to follow the Trump play book, as discussed in "The Lowest White Man" .. an op ed by Charles Blow. After all, a win is a win…. and its all about winning. But, at some point we have to ask the question, at what cost? At what cost do we continue to divide our nation by playing to and hardening divides that exist from ill-conceived and knowingly false ideas of superiority and entitlement based on skin color or places of origin. At what cost is it in the balance of humanity for us to continue these divisive tactics to perpetuate hate, when we have more in common than differences? It is my hope that Mr DeSantis can begin to run a more respectful campaign and not play to what is the worst in humanity. That’s the kind of leadership we need. 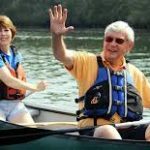 Michael Dobson is a longtime Tallahassee lobbyist, founder of Dobson, Craig and Associates, publisher of Talking Florida Politics and founder of the Florida Renewable Energy Producers Association. Reach him at Michael@dobsonandcraig.com or Michael@michaeldobson.org. It’s difficult for me to cross the bridge to enter Pensacola, and not think of a city i once lived in called San Diego. I often think of the San Diego my father move to back in the 70’s before San Diego got new leaders, many of whom were from the outside, who saw the potential… and slowly with a new set of eyes on the city, transformed San Diego into one of the most beautiful and prosperous cities in America, with a booming economy which understood the value added by the military and what it brings to the city with regard to investments in technology and research to have attracted tech giants like Solar Turbines, Nokia, Cubic, Qualcomm, Kyocera and many others. It too has a port, have beaches and universities. Accept for the picturesque mountains of Northern San Diego County, Pensacola has much of the same … but lacks leadership with a vision to see beyond what it has always been. Pensacola could be so much more. Like many cities, it suffers from an echo chamber of ideas, with communities that still fight the battles of the 60s to remain oddly segregated still. Perhaps the old fights are comfortable and too familiar to let go. Then, the citizens of Pensacola thought the answer would be to change its charter to now have a strong Mayor system of city government. Yes, it could be the answer. But the selection process made the idea a dud. The city selected a well-meaning young man whose only claim of fame was not anything having to do with government or policy, but of him being a male model. Yes, the kind of guy who looks pretty good in a television commercial or mail piece, but no articulation or vision about governing. Not that models are not deep thinkers deserving of roles in government, but the fact is, this one had a resume completely void of any hint of interest in government or policy. That Mayor has decided to not seek re-election and the City once again has a great opportunity to claim its rightful future. So alas, we see the picture more fully, Pensacola has a great opportunity before it. It can now pick the right Mayor. But first, since the role has never been defined, it may be of benefit to clear some things up. First, the skillset and temperament of a Mayor does not make any current elected official a logical or natural choice. Why? It’s a different skill set. Its leadership, integrity and a fidelity to citizens above oneself. Some cities, like Tallahassee, has a weak Mayor system. It’s a system whereby the Mayor has a vote on the commission, but has other responsibilities the other commissioners do not have.. mostly as the ambassador for the city. Other than that, the Mayor is another member of the commission or council. In Pensacola, the Mayor has no voting authority with the council and has an executive office that is completely separate from the council.. with the ability to make some decisions unilaterally without much input. The current cast of characters for the 5 person race in Pensacola is a sitting county commissioner who have served 12 years on the commission, a sitting City Councilman who is completing his second term to serve 8 years, a Christian radio personality, two very thoughtful and engaging millennial’s, and a 20 year retired military vet ( in a military town) who is retired military veteran Lawrence Powell who returned home to Pensacola in 2006 and immediately got involved In his community to include managing a few local campaigns and creating an at risk program for youth. He is a leader on the ground in the community where it counts, and is involved In his community in a multitude of ways… mainly serving the least of them . The Mayor’s race is nonpartisan. But since we are grownups, let’s admit that the idea of non partisanism is a bunch of hooey. The two elected officials are Republican (Robinson and Spencer) , so is the Christian radio host( Mr. Mayo). The only registered Democrat is Lawrence Powell, while Johnathan Green and Drew Buchanan are NPA. Mr. Powell is also an Africa American minister. So you guessed it, the three Republicans are fighting for the same base while a few are trying to pilfer some African America votes by collecting on IOU’s from some. The latter exercise and those acquiescing to such overtures is reminiscent of the phenomena of the many former slaves who did not know slavery was over after the emancipation proclamation. 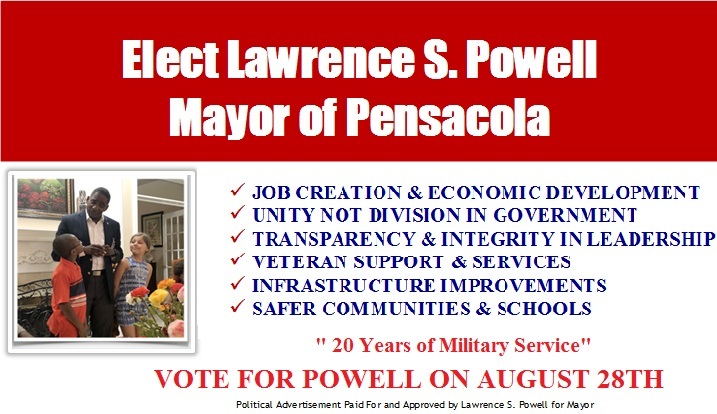 Pensacola actually has a chance to elect an African American military veteran in a military town. Having lived other places before returning to Pensacola, Mr. Powell has a vision of what Pensacola can be outside of the echo chamber, if only the voters would listen. Perhaps, just maybe the city will pick a leader this time… and not just a politician. Then it can know what it’s so called Strong Mayor is supposed to be. And in doing so, remove the entrenched remnants of the old south to bring Pensacola screaming into the 21st Century. 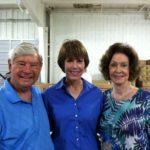 Pensacola does not need a politician, it needs a leader. It does not need anyone whose business portfolio, and personal wealth is enhanced by the decisions that can come out of the Mayor’s office…. which is a recipe for graft. Full disclosure, Lawrence Powell is my friend. That is how i’ve gotten a measure of the man, and know he’s earned and is deserving of the many medals that has adorned his chest in service to our great country. These opportunities do not come often for a city trying to find its way. Here’s your chance Pensacola. 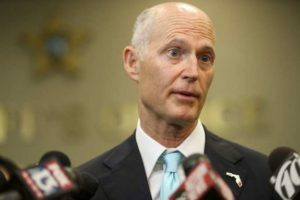 IN 2018:IS RICK SCOTT THE NEW GEORGE WALLACE AND IS THAT THE U.S. SENATOR HE WANTS TO BE? Florida Governor Rick Scott and our cabinet stubbornly standing in the way of the right to vote for tax paying citizens who are disproportionately minorities here in the 21st century, makes for an eerily familiar feeling. 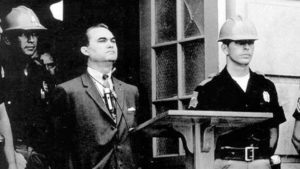 It feels a lot like that fateful day in Alabama, some five decades ago when Alabama Governor George Wallace stood at the entrance of the University of Alabama to deny African America students access to that historic university.... all in the name of keeping segregation alive and well. Mr Wallace later denounced his stance. But, will Gov Scott? Will he do so when there is no longer a need for political advantage born out of such policies.. like Wallace? Only time will tell. Most states have come to realize that permanently disenfranchising tax paying Americans who have made a mistake, paid their debts to society and wanting to be a contributing member again, is contrary to the promise of America. They've learned that most citizens agree that it is wrong. In the most recent poll by North Star Opinion Research and EMC Research Voters overwhelmingly support felon voting rights amendment ..... considered a bipartisan poll, it says that nearly 3 quarters of voters believe Gov Scott and the Cabinet is wrong. While their talking point is usually a statement suggesting that ..."it"s for the victims", no victim has spoken up and suggested that once someone has done their time for a non violent offense, that he/she should not be able to vote. Is it the assumption that those who decide to register to vote would then vote for his opponent, or would be a Democrat.... or African American voting Democrat. Scholars tells us its a naked disenfranchisement scheme for political advantage. They tell us that was the original intent of this disenfranchisement scheme in the first place, as pointed out by the Kentucky Advisory Committee to the United States Commission On Civil Rights, when its findings gives us a bit of history by telling us " In the ensuring decades after the civil war, ex-felon statutes were adopted in a number of states for the expressed purpose of limiting the right to vote of African Americans". So, to the "it's for the victims" crowd, history tells us something else. Then there is this assumption (as inferred above) that giving the right to vote will make Democratic voting rolls spike, well I beg to differ. The proof is in scanning the Florida Division of Elections Website. Doing so, you will notice a Republican Candidate by the name of Fredrick Dee Buntin is running for governor. You may also notice that his address is Dade Correctional Institution ( aka DOC), where he is housed as an inmate in the Florida Department of Corrections(state prison), and is doing a life sentence there. Yes, you read right...he is an inmate in the Florida State Prison system and is registered on the State of Florida's Division of Elections website... running for governor as a Republican. Is Governor suppressing the vote for upcoming elections because "he can do whatever he wants" ? Does the governor's office not read the same history books we all do and know that without a shadow of doubt this practice owe its roots to base racism, and a disenfranchisement that is aimed at denying African Americans the right to vote, with the southern governors who came up with this scheme explicitly saying that was the aim for this policy knowing that African Americans would be prosecuted (for the same crimes) at a higher rate than others, and would be disproportionately sentenced to jail or prison. Much of this is covered in Janell Ross's"The race-infused history of why felons aren’t allowed to vote in a dozen states". Since the latter article, a few more states has eliminated the regressive barriers which prevented the voting of non violent citizens who've been convicted of a felony in the past, and paid their debts. Is it pandering to a white vote that Trump revealed, as interestingly discussed in Charles Blows The Lowest White Man, so as to blazingly perpetuate Jim crow in the 21st century and still get elected to the United State Senate in one of the most racially diverse states in the country? George Wallace saw the damage done, and the winds of change sweep the nation. He was an old and crippled man when he did so. What is it that an older man sees when there are no more mountains to climb? 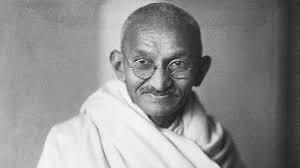 Did he remember his beginnings and the humanity learned... but it took awhile? I often think of Governor Scott's story about his youth. You know, the one when he says during a difficult time his family lived in public housing. Given that, why is it that one of the first things Mr Scott did as governor was to pursue a measure (later ruled unconstitutional) to drug test welfare recipients....but not lawmakers, or himself. 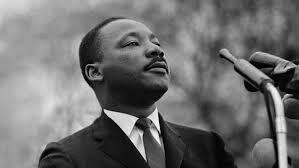 Have'n been accused of overseeing the largest Medicaid Fraud of its time, and escaping prosecution largely because he had the best representation money can by; how can he not know that more than half the folks he wont let vote, would never have a record had they a smidgen of his wealth.That... "there by the grace of God there go I". I suspect that the governor knows what is morally right. And, I suppose he knows that the history books are correct. So, Is this who this good man wants to be? Do our leaders want to be compared to George Wallace and as torch bearers for the ugliest period in American history... embody symbols of racial backwardness and oppression? As a Floridian who lived through the pain and turmoil of the 60s in Florida, I know first hand what we went through as a state. 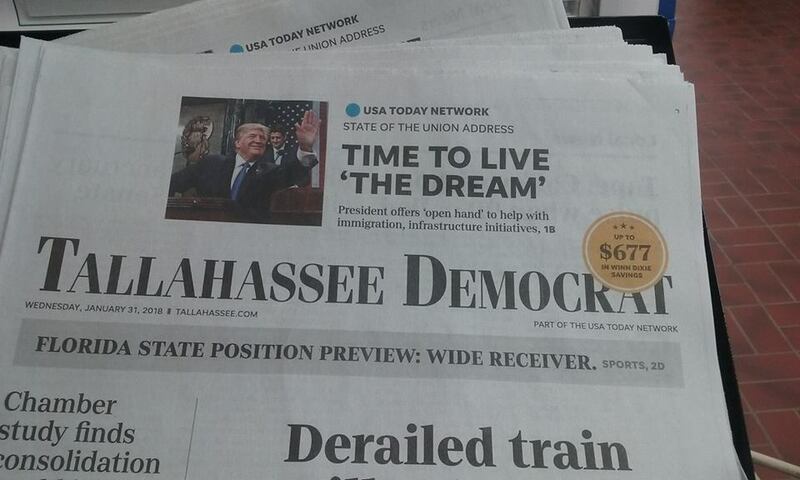 I remember what we went through to get us to a place where we could live in more harmony, where all citizens could have self respect, could have second chances.... where families knew that the state had its back, where families rich and poor got to enjoy the many things that make Florida special. Sometimes I wonder if our governor, not a native Floridian like this writer, in his travels around the state, truly understands it and its people. Does he understand what we've gone through and what we don't want to go back to. Does he not have a sense of history and the compass to gauge the aspirations of common Floridians? Everyone does not blame the next man for their lot. Floridians believe in taking responsibility and paying their debts to society when they error-ed. And when the payment is made in full, they believe their mistake should be thrown out into the lake where their is a sign that says, no fishing allowed... that they get a second chance. That's who we are as a nation. That's who we are as a state. Governor Scott, the people are speaking loud, and their voices will become their votes on election day to right this wrong. If not for suggested pure political purposes, the right thing could be done now. Instead, those whose rights you could give, but will not give.... will have to wait for the passage of an amendment that will surely pass. Yes, the current legal skirmishes will keep many from the voting rolls on November 6, 2018. Perhaps that's helpful to some in closely contested elections in Florida. But, Is a democracy that is based on equality and rights of speech,and the idea of freedom and liberty suppose to be simply a suggestion ... to be used to fit certain personal or political motivations simply because you can ? Is there not a higher calling.. beyond politics, the contest or an exercise in raw power to suit individual whim? Will Florida be that sunny place, we peddle to others; or is it going to be that ugly and mean place where we deal from the bottom of the Jim Crow card deck ... just to keep certain Floridians permanently locked out of society, contrary to our great nations promise and what our great lady of the statute of Liberty says to us. Florida leaders, please do not continue to make us look like some racist throw back to a time we can admit was not our shinning moment. Watching Andrew Gillum campaign for governor has (for me) been akin to watching someone draw a map by artistically stringing together the deep footprints of those who came before them. It's a map for a future trip in a future time, while the mapmaker adds his own footprints. In America, only a handful of black political candidates (in recent memory) have been able to convince voters in their respective states to elect them statewide. There was U.S. Sen. Edward W. Brooke ,a U.S. Sen Corey Booker of New Jersey, Deval Patrick Gov Massachusetts, Ken Blackwell of Ohio, U.S. Sen Tim Scott of South Carolina, there was also U.S. Sen Carol Mosely Braun of Illinois, Gov Douglas Wilder of Virginia, U.S Senator Kamala Harris, U.S. Senator and President Barack Obama; and while not as the lead candidate...most recently, Justin Fairfax on ticket as Lt Governor of Virginia (as did another former client, Jennifer Carroll of Florida before him). Not mentioned, but lest not forget, some statewide offices of lessor clout ( not Governor or U.S. Senate) which blacks have been elected to over the years. In 2002, I had a front row seat to some of the reasons why, as a statewide manager (Campaign Coordinator) for Florida Gubernatorial Candidate Daryl Jones. In that experience, I saw first hand the challenges black candidates face in Florida when campaigning statewide. In that particular year (2002) Janet Reno, Bill McBride and Daryl Jones were the Democratic candidates for Governor. The perch from which I viewed that event was up close and personal. That experience also led to my being contacted by the congressman Jim Davis in 2006, when he was campaigning for governor. His campaign needed my input as they pondered who to add unto the ticket as his running mate. Ultimately, Daryl Jones was added to the ticket and my advise became of some value to that statewide campaign. Consequently, Daryl Jones predated Jennifer Carroll as a black on a Florida statewide gubernatorial ticket ( as Lt. Governor). Later, I observed from a distance Kendrick Meeks 2012 statewide campaign. Doing the analysis, and in my experience talking to voters from coast to coast, I’ve learned that the reasons black candidates in Florida don’t win statewide are deep-seated and painful to acknowledge. But at the same time, what I learned underscores a clear-eyed reality about the largest swing state... mired in the history of its racial past. Before we get into the first person feedback I received during the campaign of Daryl Jones in 2002, please remember who he was. 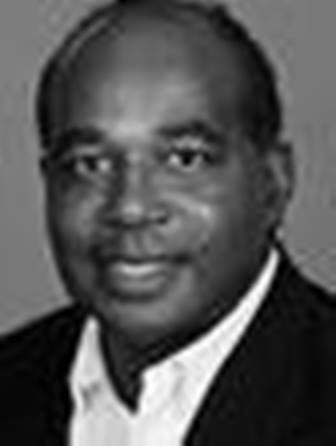 Daryl Jones was a State Senator from Miami, a distinguished lawyer, fighter pilot, and President Bill Clintons nominee for Secretary of the Air Force in 1998. Considered one of the smartest guys in the Florida Senate, Daryl was respected by both sides. Additionally, newspapers often described him as having movie star good looks. But both the blessing and course was that Daryl Jones, as a candidate, was not neatly packaged into a stereotypical black box. He grew up in Jackson Mississippi and is Catholic. Now, while that should not matter, the latter did. 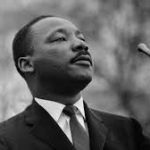 For some, he did not seem in his element at a rollicking and soulful black church, a place a black man was expected to be at ease. I guess we can say that the black community simply did not “feel” him.. as one of theirs, along with some other black centric political baggage to be discussed. Meaning, he found himself at odds with some members of the Black Caucus. The fatal error, which created distrust among some key black legislators, resulted from a mistake he made while representing the Black Caucus as its chair in unilateral negotiations with Gov Bush over the governors controversial "One Florida" initiative. 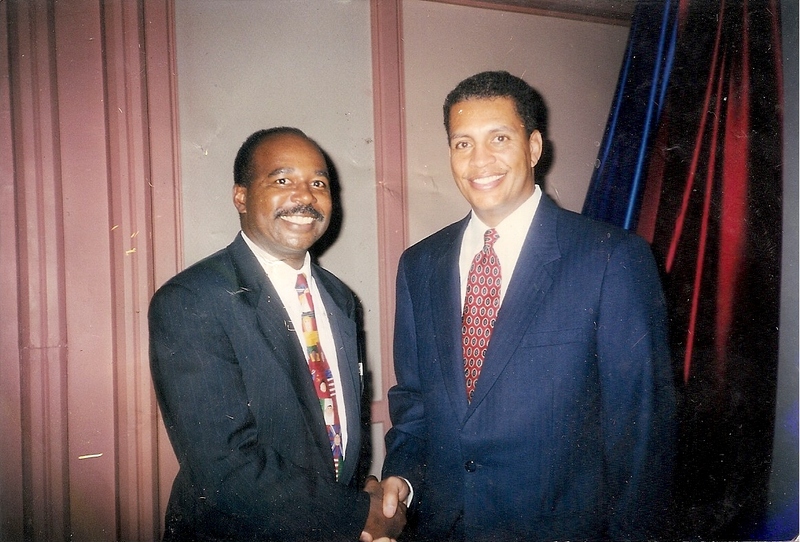 As Chair of the Legislative Black Caucus, in unilateral discussions with Gov Bush, Daryl entered into an agreement with the Governor, which essentially committed the caucus to a position which portrayed it as giving into the governor. He did so without consulting the caucus. His acquiescing to chair an advisory committee ( created by the Governor) to assist with the Governors "One Florida" scheme, as Chair of the Black Caucus was found to have misrepresented the caucus. While, he back peddled and admitted to the mistake, it did not prevent a severe backlash from other black legislators, whose disdain led to the infamous “One Florida” march and statewide political event of the day. It was a protest of what was being reported as Governor Bush's proposal to eliminate minority contracting in state government, under pressure from an outsider by the name of Ward Connelly who nationalized the issue. Truthfully, “One Florida” was Governor Bush's attempt to temper what Mr. Connelly was pushing with Florida in his cross-hairs. When I found myself entering the state capitol with Mr. Connelly making a beeline to the Governor’s office, it was clear to me that the earth was about to shake in Florida. Gillum has better political instinct to have made that error, but he could benefit from some of Daryls prodding, maturity and understanding of the long game. Regarding the political instinct, consider this, by pure serendipity or coincidence, Andrew Gillum entered the statewide stage in Florida as the FAMU student body president who led a student march to the State capitol and organized a sit in to protest the 2000 elections and protest Jeb Bushes "One Florida" . He also protested the Governor being the FAMU commencement speaker . At the same time Daryl Jones was plotting a run for Governor. On the campaign trail in 2002, I also witnessed the depths of a psychological oppression inextricably in-bedded in the deep south post Jim Crow. The latter showed itself when talking to black voters like myself, who often voiced lament by saying “ Florida is not going to elect a black for governor”, and/or “he does not have a chance in this racist state”. These comments came about as I made rounds throughout the state at countless DEC meetings, NAACP Banquets, churches, Urban League Dinners and etc. Oddly, whites (at least to my face) would say, “ he is so smart and would be a good governor”; and would ask,why are blacks not supporting him. Then they would ask if Kendrick Meek or Tony Hill was supporting him. Their support was important since both were considered heroes to the black cause after their sit in at the Governors Office, which led to the “One Florida” March of Tallahassee; then led to the first “get your souls to the polls” GOTV program. But, given the mistake Daryl made earlier with respect to One Florida, there was no forgiving him from some. The story has never been told before, but the Daryl Jones campaign faced a conundrum that was all about race. 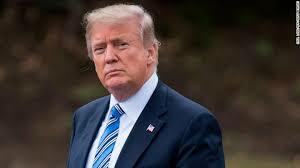 When whites did not see blacks supporting Daryl, disregarding the fact that blacks only represented about 13 percent of the voting populace, it made whites also see it as a fools errand to support him. For some of them, it made little sense to support a black candidate for whom his own people (and their key leaders) did not wholeheartedly support. Fast forward to today, clearly Andrew Gillum is no Daryl Jones. For instance, the current Chair of the legislative Black Caucus, Perry Thurston as have most African American leaders endorsed Andrew Gillum. There was never such a public endorsement for Daryl from the Black Caucus, which was disappointing. To his credit, the one black lawmaker who enthusiastically supported Daryl was then State Senator, and now Congressman Al Lawson, a true friend and servant. It can be said that Mr Lawson has never turned his back on a friend. The conventional wisdom then (and less so now) is that a white electorate in Florida will not elect a black statewide. We saw this phenomena play out before Daryl Jones, when in 1994 an appointed Commissioner of Education, the late Doug Jameson launched a statewide campaign to win the position outright. 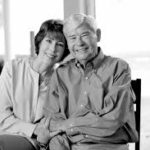 He was toppled by a popular educator from Martin County Florida by the name of Frank Brogan, although he was new to the statewide stage. Donald Trump has shown us why that seems to be the case, while on his watch, bigotry no longer hides . With clarity, today we better know that there are good people who would never vote for a black for Governor or U.S. Senator, nor will they vote for a women for Governor, U.S. Senate or President. Yes, Barack Obama won two presidential elections. But, there is a reason for that…mainly that once in a life time there can be an instance where a candidate comes along who transcends race. The latter is a fact that no one wants to blurt out, but its true. A good chunk of the electorate saw Obama as mix race and ivory league educated …. therefore acceptable. That will never happen again. 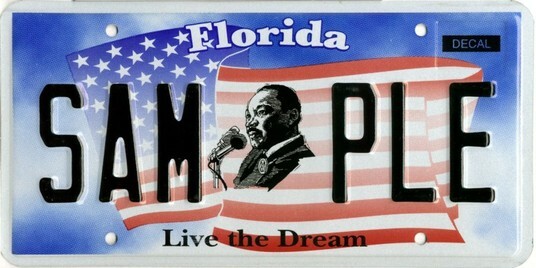 In 2002, blacks did not believe it to be possible in Florida, and it therefore became a foregone conclusion. No disrespect , but Daryl did not have the political skill of an Barack Obama. The belief that a black can't win will never be explicitly communicated to the candidates face. It will be communicated through surrogates and campaign consultants. The consultants will rarely share such base racist conversations with the candidate, who is giving their all. It defeats the purpose. Doubling as Daryls body man on occasion, after a day of legislative meetings, Steve Bousquet of the Saint Pete Times contacted Daryl and wanted to accompany us on a trip to a little black church about 45 minutes from Tallahassee. He wanted to interview Daryl and write about the campaign. I drove while Steve and Daryl talked. In the story, Steve described Daryl’s discomfort, stiffness and unease in keeping up with the rhythm of the gospel music at that church.… as a catholic boy trying to fit in at this black church. 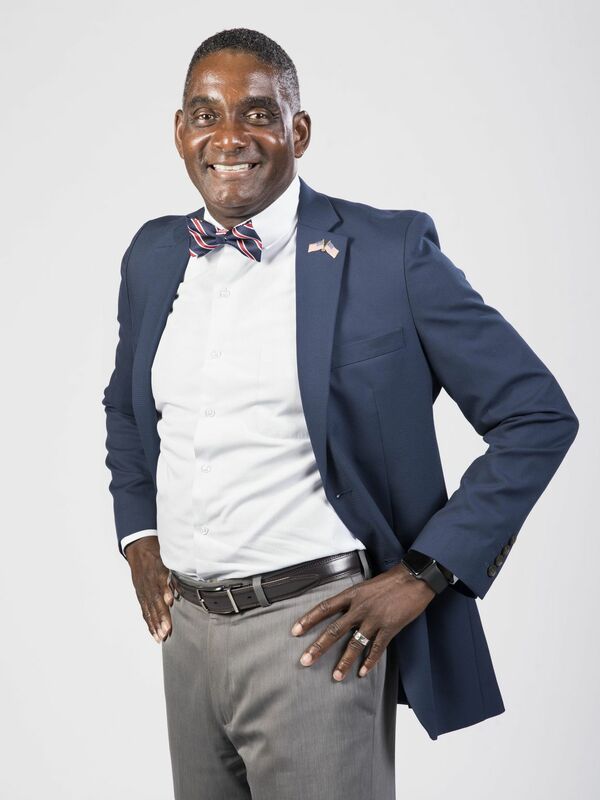 The article while skirting the "One Florida" controversy also lets the reader know that Daryl Jones was a very qualified and worthy candidate for governor. Over many months, we traversed the state, having our share of what I coined rubber chicken events (the menu of baked chicken) , which were usually banquets where Daryl would be allowed to speak. Looking back at those days, I often think of a conversation I had with my dad some years ago, who had moved back to Florida after spending most of his adult life in San Diego. He talked about the relationship between blacks and white in the south, as he see it now, after being away for so long. He said, the good thing about the south is that blacks and whites had an actual relationship.. a dysfunctional relationship, but a relationship nonetheless. A part of that relationship is that we can get along and be cordial, but we're to know that the white population will not allow you (a black) to be governor of our state. The way the thinking goes is that, those who still have a firm grip on power, wont have that. Normally and unfortunately some blacks in the south understand that to be fact, and dutifully accept it as such, as some also cow towed to Jim Crow. And therefore, vote accordingly. But today is different. There is a new swagger amongst our youth, which is spreading, and Gillum emulates it. When blacks (in 2002) said to me that a black could never become governor of Florida, my rejoinder was often, “ well he could, if you would vote for him”, it meant nothing. Many black voters were so concerned with being on the wrong side of the winning vote, that they would not chance it. .. as if there would be some unknown punishment for supporting the black candidate. Again, that is no more. On election day in 2002, I remember as if it was yesterday sitting in the campaign office in Miami(Doral) monitoring the outcome, and calling our supporters from around the state. A lady from North Florida was aghast at the returns she was seeing and lamented that she did not understand why Blacks did not support Daryl in large numbers in the large urban areas. She saw him as the best candidate ever, and one blacks should be proud of. She couldn’t understand the depths of a collective psychological trauma that remained from slavery to Jim crow and beyond, and the trauma coupled with racial infighting that allowed that to occur. But to be sure, Mr. Gillum is a skillful politician, and is still young. He entered the statewide stage as a charismatic college leader in 2000, has firmly planted himself in our political consciousnesses with his current juggernaut of a campaign, broadening his footprint on that stage, and his feet are firmly planted to never leave that stage which beckons and where he belongs. He is now learning what the bit map is for electoral victory for a black candidate in Florida, and will likely be the first to crack the code. Blessedly, he has the time to do so. More importantly, while Mr. Gillums fundraising has not kept pace with some of the other candidates, he has shown that as a black candidate he can indeed generate respectable fundraising numbers; unlike Daryl Jones, Newell Daughtrey for CFO, Willie Logan in his independent statewide run for U. S. Senate, or for Perry Thurston; with an exception of Kendrick Meek in his run for U. S. Senate.. who ran a credible and admirable campaign . It would be hard to deny that Mr. Gillum has outpaced all other African American candidates for Governor in Florida. With Gillum, blacks see a new possibility.. a possibility that was missing in 2002 with Mr. Jones… not out of personal deficit, but because of an evolution in how we engage, how we now see ourselves, and a new national swagger. There is an awoken giant in America today far greater than what existed in 2002. The self-defeating post slavery nature that manifested itself in self defeating psychological oppression has largely waned, perhaps as a result of Obama. As brave men like Daryl Jones, Kendrick Meek and Andrew Gillum fan around the state.... further developing the bit map for the victory, which will one day occur for an African-American candidate in Florida, our gift in the interim, is a closer look in the mirror of who we are as a collective electorate and how we understand each other. If Mr Gillums victory is not at the polls in 2018, it will instead be his permanent place on the statewide stage.. as a place holder for a sure future victory.